Sales objections are par for the course when it comes to sales. It is more often than not that you will hear an objection to your sales pitch, so how do you deal with it? Many small business owners don’t have a background in sales and therefore it is important to realize what an objection sounds like and how to deal with it proactively so you can gain more sales. Before we look at the common sales objections let us consider what you need to do during a sales call. Alexandar Graham Bell said “Before anything else, preparation is the key to success” and this could not be more true when it comes to dealing with sales objections. You need to be prepared. You need to know what your value proposition is for your product or service. You need to know what the competitors are doing in your client’s field. You need to have independent case studies which show the benefits of your product has to offer. With this knowledge you will be able to overcome the sales objections which you are faced with. Prepare the answers you can have for different issues you confronted with so that you won’t be flustered when faced with them. If you get an objection, probe the client to discover what the real problem could be and how you could solve it. By digging deeper, you will be able to adjust your value proposition to suit your client’s unique needs. Clients are mostly worried about the bottom line. If you can give them the quantifiable value of your product they may see the value clearer. Remember to always be honest and stick to the hard facts. The top sales objection which salespeople hear most often is that there is no budget or money for the solution you are offering. When confronted with this objection you will first need to understand why they have said this. It may be as simple as they don’t add the same value to your solution as you do. It is important to highlight the benefits they will receive by being your client. You could also give them a cost break down of your services. This is especially important if your client needs to justify your price to another person. When confronted with this objection, it is important not to lose your cool. You could offer to send your prospect a one-page information pamphlet which highlights the benefits and price of your product. You should also make an arrangement to have a follow-up meeting with your prospect and the key decision maker who they mentioned so that you can move forward with the sale. As you are very busy so are your clients and therefore it is important not to waste their time. Ensure that your value proposition is quick, buyer-centric and customised to the client’s need. If they truly don’t have the time or budget. Arrange to schedule another meeting when they will be willing to speak to you and remember to follow up. This could be to your advantage as the education about how your product works will already be in place. You will need to probe the client about their experience with your competitor and this could bring up a pain point that they have with the current supplier. You could then use this to show how your product could solve that particular pain point of your client. 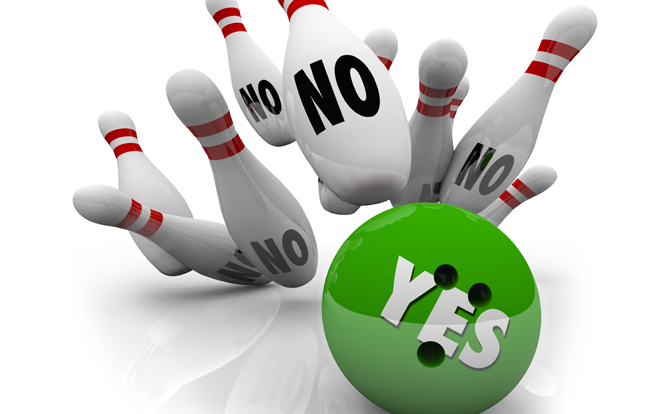 By mastering these objections, you will be well on your way to improving your sales.